The risk of disruption within global markets and trade routes is an ever present threat, and businesses should take all necessary precautions to safeguard themselves by implementing supply chain software. The latest example of how data collection systems can help companies mitigate supply chain risks comes from Thailand. Writing for Forbes, supply chain professional Jon Bovit recently noted that the amount of natural gas coming into Thailand from Myanmar is expected to drop precipitously in the beginning of April. Considering that approximately 25 percent of Thailand's natural gas comes from that country and that Thai industrial output is heavily reliant on natural gas-fueled power plants, the effect of this temporary outage could greatly damage the nation's economy. 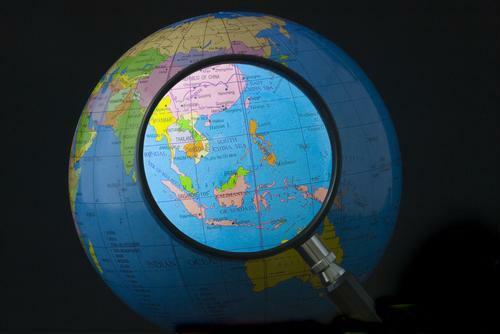 This is not the first time that Thai economic output has caused global supply chain concern. In 2011, massive flooding in the country disrupted operations at hard drive and automobile manufacturing facilities and left many of the world's largest businesses reeling as they sought alternative supplies and transportation routes. The New York Times reported that year that hard drive prices worldwide went up by about 10 percent and the global marketplace would not reach pre-flood levels until approximately 12 months after the natural disaster. "Surely one of the inevitable impacts of this is that never again will so much be concentrated in so few places," Gartner's John Monroe told the Times in November 2011. According to Bovit, if the 2011 floods did not teach companies about the need to use supply chain software to prepare in advance, then the upcoming power disruption surely will. To mitigate these kinds of threats, companies must take a multi-pronged approach to risk management. For starters, organizations should note all of the locations that affect their operations in some way and monitor events in those areas, Bovit wrote. It is not enough to only monitor business conditions near manufacturing plants, for example, as the increasingly dispersed nature of global supply chains means that even minor disruptions in one area of the world can have lasting and unforeseen consequences for many industry sectors. Businesses can then use an automated data collection system that provides real-time data about the location and condition of all goods and parts across the world, he recommended. That way, companies can almost instantaneously know what the likely damage will be to their operations should a supply chain calamity occur and quickly identify alternative locations. "The Plan -Monitor – Protect approach laid out here represents a proven best practice that can help companies be better informed and better prepared for any ongoing global events in order to avoid major supply chain disruptions, such as those that occurred in 2011, and the resulting financial impact," Bovit wrote.